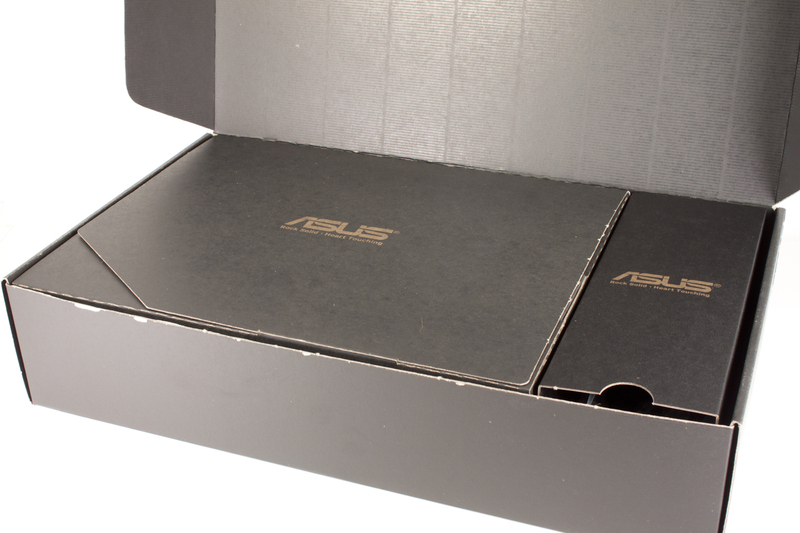 The front of the box has a very detailed graphic that requires a portrait layout. 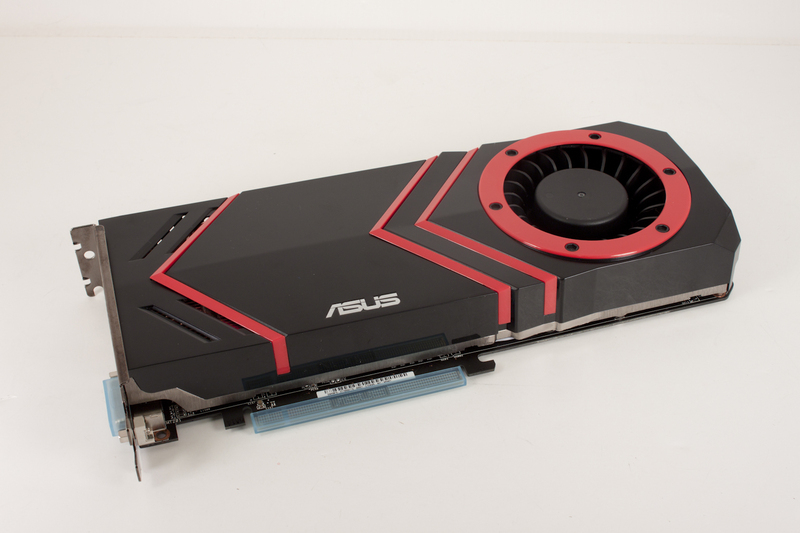 It is a very cool design and one that lets you know right way this is a gaming card. 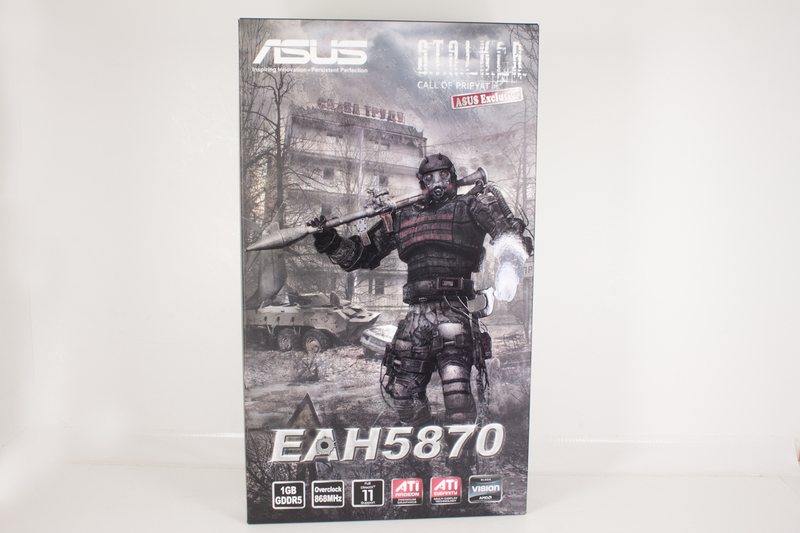 The Stalker, Call of Pripyat and Asus Exclusive logos are another nice touch to indicate you are getting something special. The rest of the logo work is just filler. 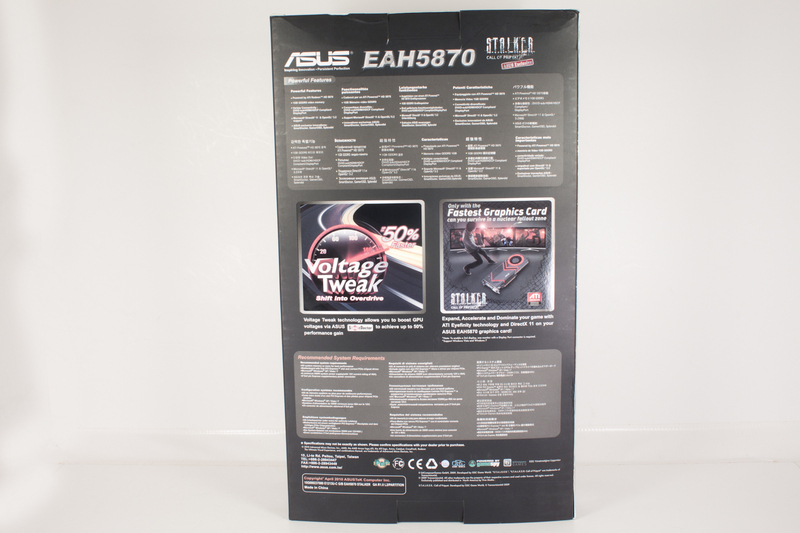 The back of the box contains more information to let you know this is not your average GPU. 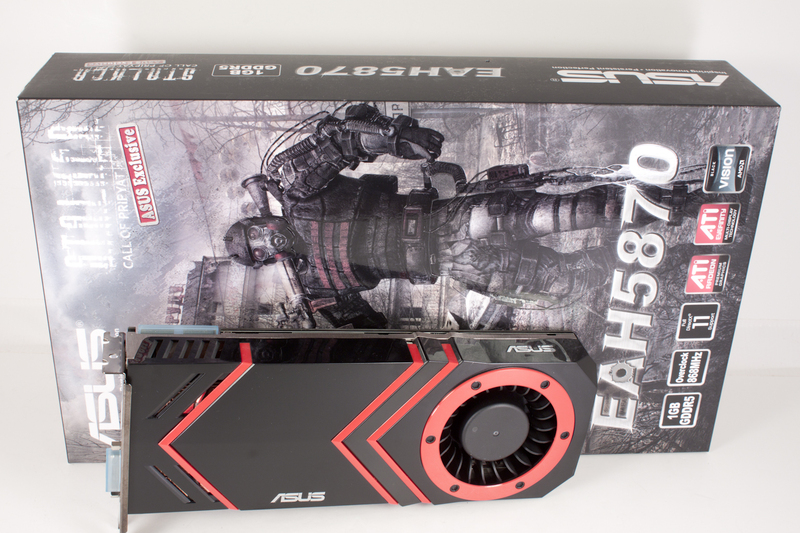 As with many of Asus’ top end cards you can tweak the voltage and get more from the actual GPU. They claim up to a 50% performance increase. However, we do know that you are only going to get that with extreme cooling. 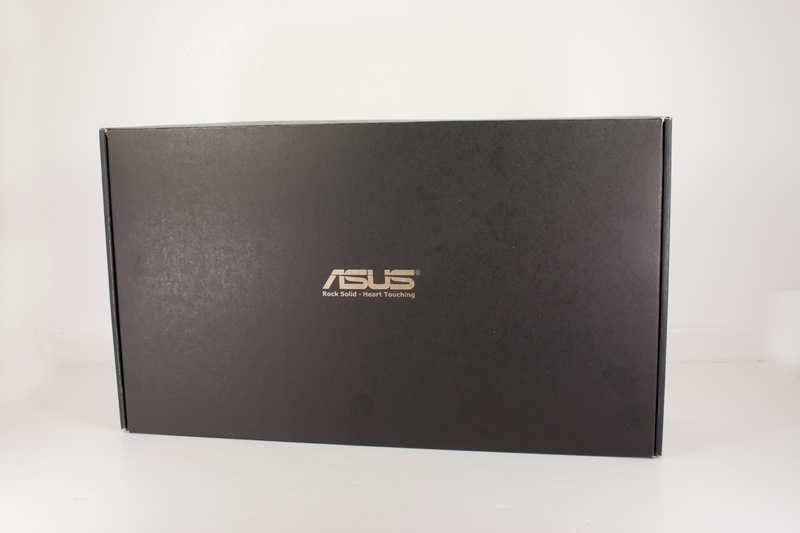 Following their tradition of placing the real box in an outer-shell we find a sleek black box with the word Asus on and their motto underneath. Inside that are two more boxes, one flat and the other long and rectangular. The flat one has all the driver/manual CDs along with the getting started guide and the promotion card for Stalker Call of Pripyat the game. 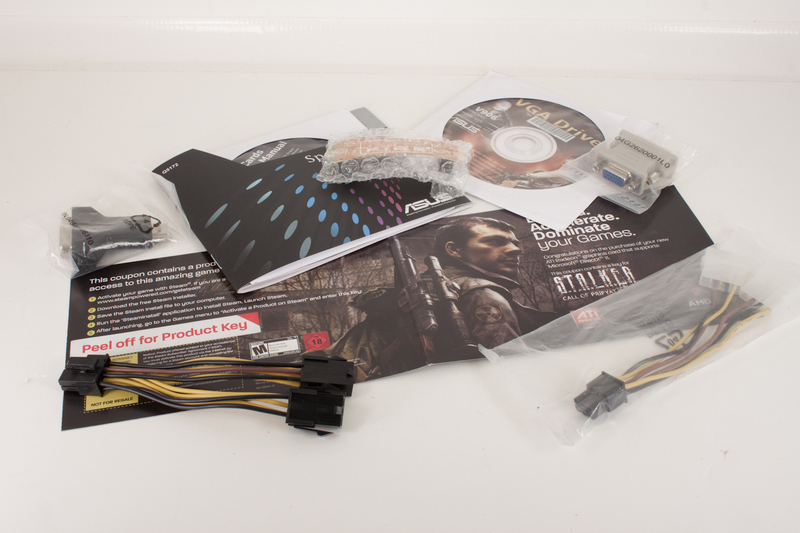 Inside the larger rectangular box are all of the adapters and the Crossfire Bridge. Underneath the manual/driver box is the actual EAH5870. 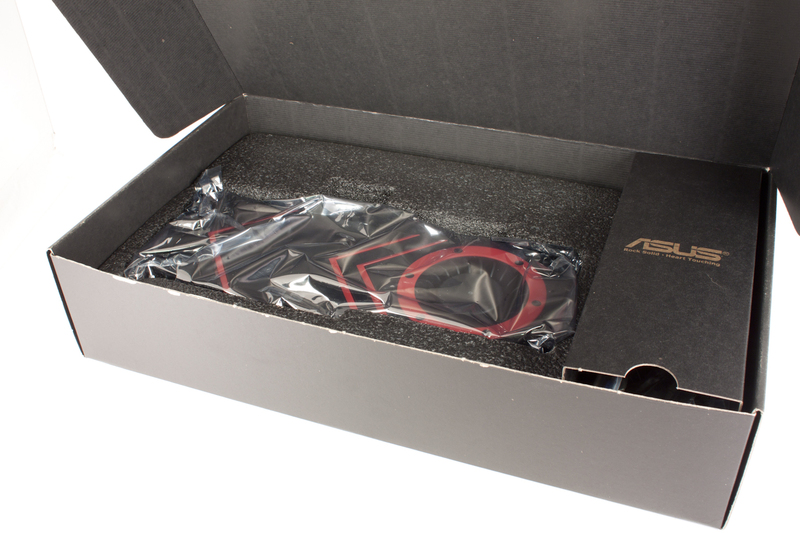 It is tucked safely inside a foam holder and wrapped in an anti-static bag. This should keep it more than safe for its trip to your house. 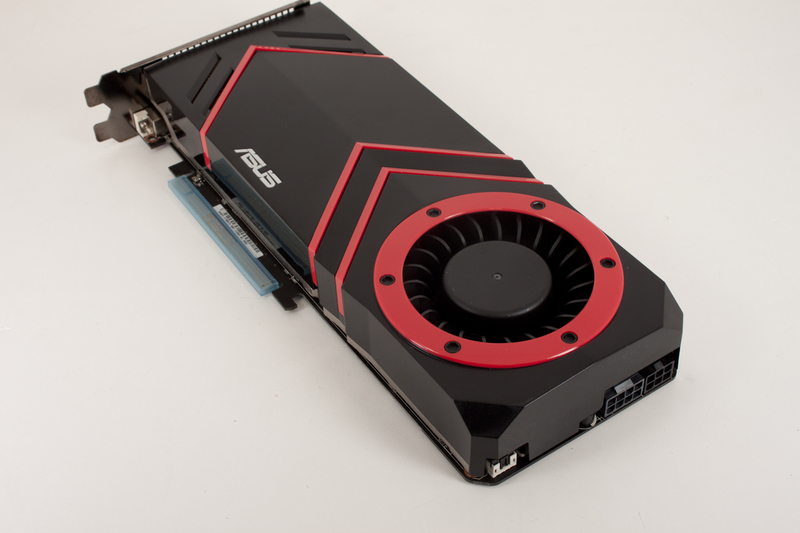 Eagerly pulling out the card itself; we find it is a departure from the reference design. 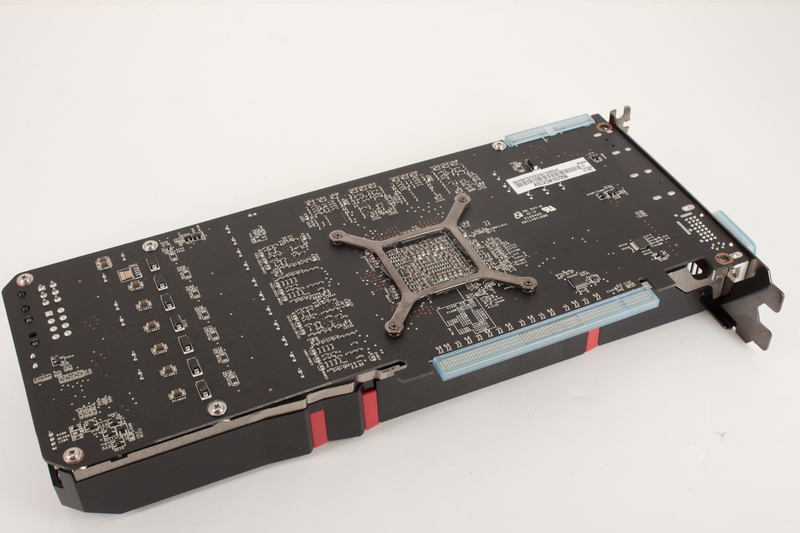 We see this very clearly in the cooling as well as in the PCB. The look of the cooler gives it a very industrial, almost automotive feel. The effect is one to indicate speed. Flipping it about 90 degrees we see the next indication of a custom PCB. The corners are chopped at 45 degree angles and the power connectors have been moved from the top to the back. 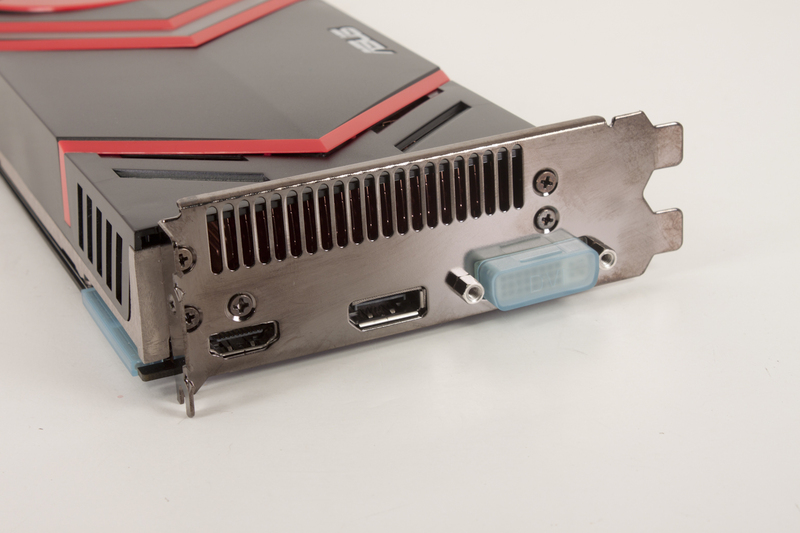 The port end has a single DVI-I connector along with an HDMI and display port. 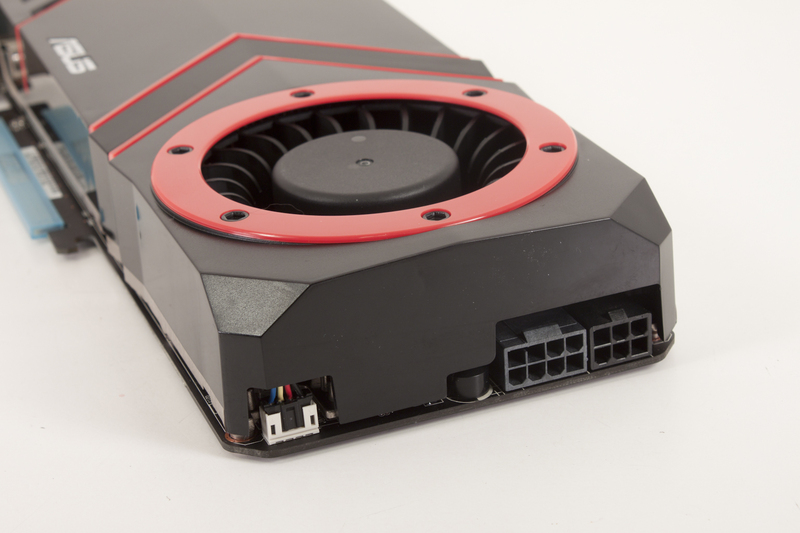 Looks like you are only getting three way Eyefinity with this one. Flipping the card over reveals a clean PCB back with some nicely laid out components; I cannot wait to get this card into the system and start testing!